Are you a member of another Junior League, but now living or spending part of the year in the Palm Beaches? We encourage you to transfer your membership from your former Junior League to the Junior League of the Palm Beaches or become an Inter League member. Below, you will find pertinent information about our Transfer program as well as how to complete the process. To begin the transfer process, please contact your current Junior League and request that your membership be transferred to the Junior League of the Palm Beaches. Once the transfer has been initiated through your current League, the two Leagues and AJLI will coordinate the paperwork as efficiently as possible. Transfer members are happily accepted at any time throughout the year. You will be required to pay a transfer fee and your annual dues will be pro-rated between the two Leagues at the time of your transfer. Active, Sustaining, and New Members in good standing are eligible to transfer into JLPB. New Members transferring into JLPB will join our New Member class and work to complete the commitments of membership ending in May. Sustaining members have two options: if you have moved here permanently, complete the transfer process into JLPB. For those who have a home from their originating league and one here, you may become an Inter League member. You can keep your sustainer status at our home league and also pay $40/ year per AJLI to also be a part time member of JLPB receiving our eblasts and invitations to events- the best of both worlds! You will be contacted by our Sustainer transfer chair and she will work to introduce the member to the opportunities available to our sustaining members. Active members will be contracted by the active member Transfer committee. The Transfer committees welcome transfers to our League and connects transfers with other members through social events and gatherings. Meeting Attendance and Volunteer Commitment – JLPB commitments are based on a points system. Depending on her number of years of service to Junior Leagues and the time of year in which she transfers into JLPB, she will need to complete a specified number of points other than her placement committee. Financial Commitment – There is a $25 transfer fee. Annual dues are pro-rated between Leagues at the time of transfer. Financial commitments may also apply depending on the time of year when the members transfers into JLPB. If joining as an Inter League member pr above, that fee is an annual $40. Placement Commitment – We believe that the best way for an Active transfer to integrate into our League is to include her in our committees; therefore, each transfer joins a placement committee and she is expected to participate fully in that committee. We look forward to welcoming you to the Junior League of the Palm Beaches! Your skills and ideas will be valuable resources to the work we do as a League to improve our community. We wish you an enjoyable and successful career as a member of the Junior League of the Palm Beaches. For additional information please call (561) 689-7590 or email us at transfers@jlpb.org. 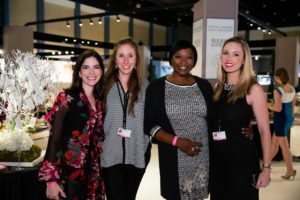 Junior League of the Palm Beaches, Inc.